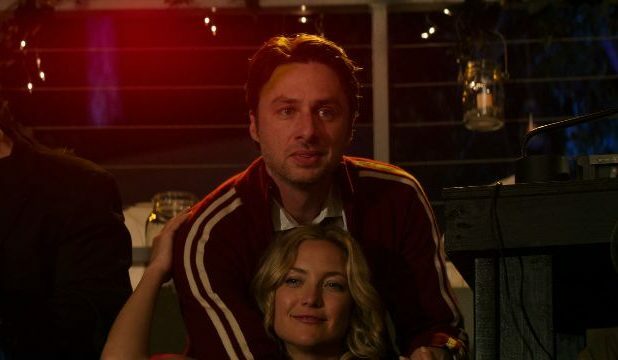 Collider reports that Zach Braff will direct The Secret Ingredients of Rocket Cola. The script for the film initially, written by Mike Vukadinovich, made waves when it appeared in the annual Black List back in 2014, Vukadinovich is best known for his work on Marvel’s Runaways on Hulu and Showtime’s Kidding as well as for the film Rememory. The Secret Ingredients of Rocket Cola follows the parallel paths of twin brothers who are separated for much of their lives. As adults, the two men fall in love with the same woman. In spite of this tension, they agree to put aside their differences to attempt to salvage the eponymous soda company. Once he made a name for himself in the popular hospital sitcom Scrubs as the central character, J.D., Braff went on to direct. In 2004, he released his directorial debut Garden State. The film, which starred Braff alongside Natalie Portman and Peter Saarsgard, was largely well received. It wasn’t until ten years later that he returned to the director’s chair for his sophomore film, 2014’s Wish I Was Here, starring himself with Kate Hudson and Joey King. He went on to direct Going In Style in 2017 with Morgan Freeman, Michael Caine and Alan Arkin. Florence Pugh is currently attached to star in The Secret Ingredient of Rocket Cola. However, it was recently reported that she is potentially getting on board Marvel’s Black Widow prequel movie. Given how demanding Marvel shoots can be, and how little is known at this moment, Pugh may find herself forced to choose between the projects. Pugh has become a bonafide star of late, with key roles this year’s Fighting With My Family alongside Dwayne “The Rock” Johnson and 2018’s Outlaw King starring Chris Pine.